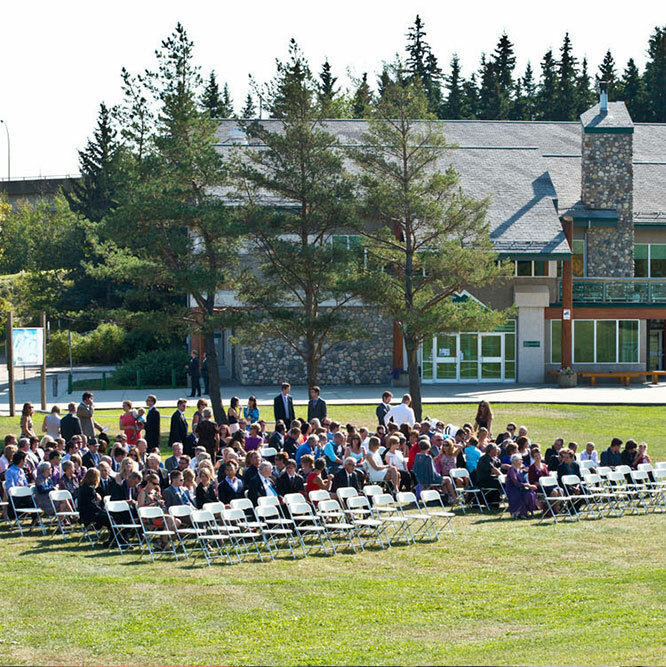 Looking for a location to host your event? 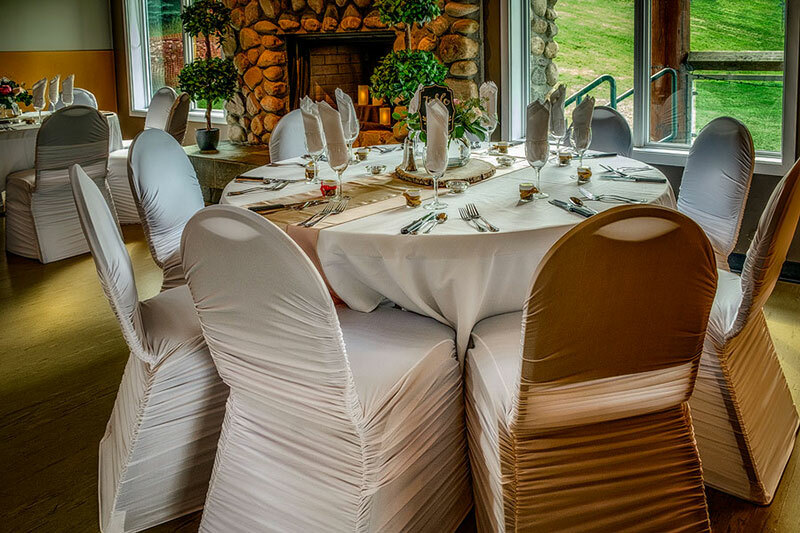 The Lodge at Snow Valley is a spacious facility equipped with a newly updated kitchen and a team of friendly staff that will help your event run flawlessly. 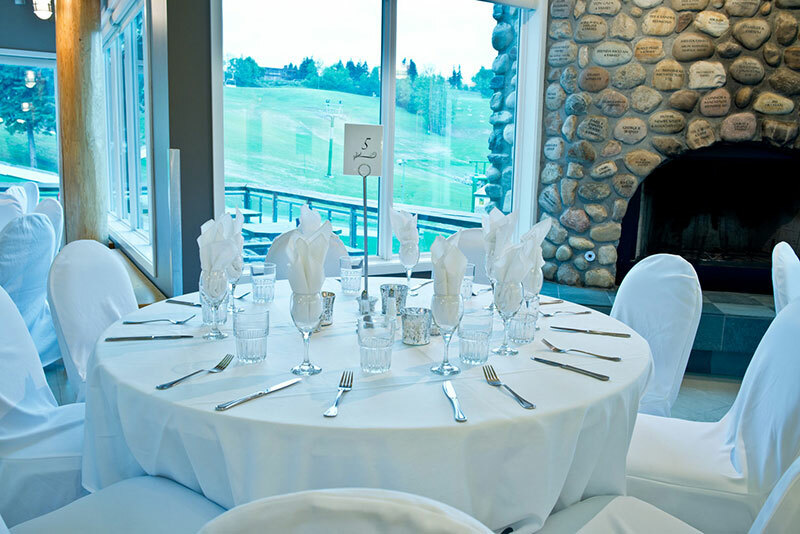 Book your Anniversary, Birthday, Retirement, or Celebration of Life at The Lodge at Snow Valley. We also cater to High School Reunions, Corporate Events, Silent Auctions and Award Dinners. Available any day of the week from late April to mid-October. 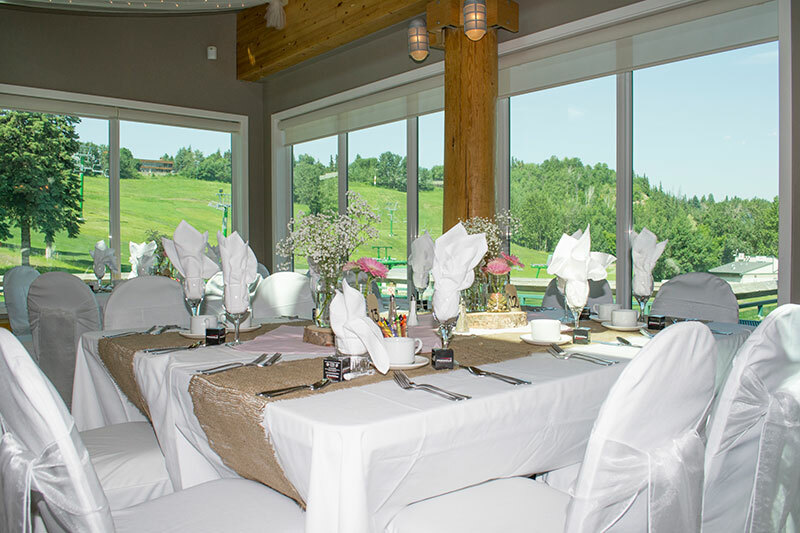 The Rainbow Valley Chalet, Meadows Room, also features a deck for late afternoon & evening receptions that can accommodate smaller groups for celebratory events. 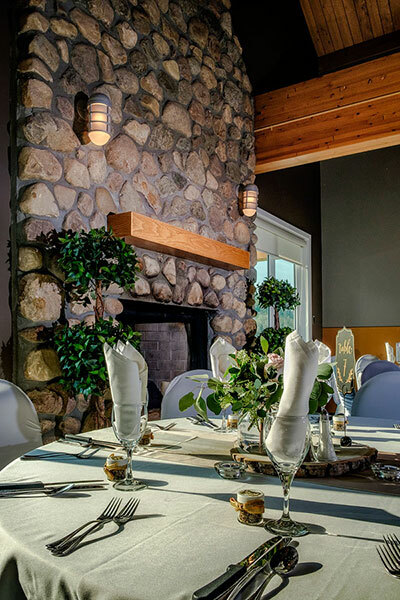 Surrounded by walls of glass overlooking Edmonton's Rainbow Valley, The Lodge at Snow Valley features two fieldstone fireplaces, air conditioning and access to a wraparound deck. 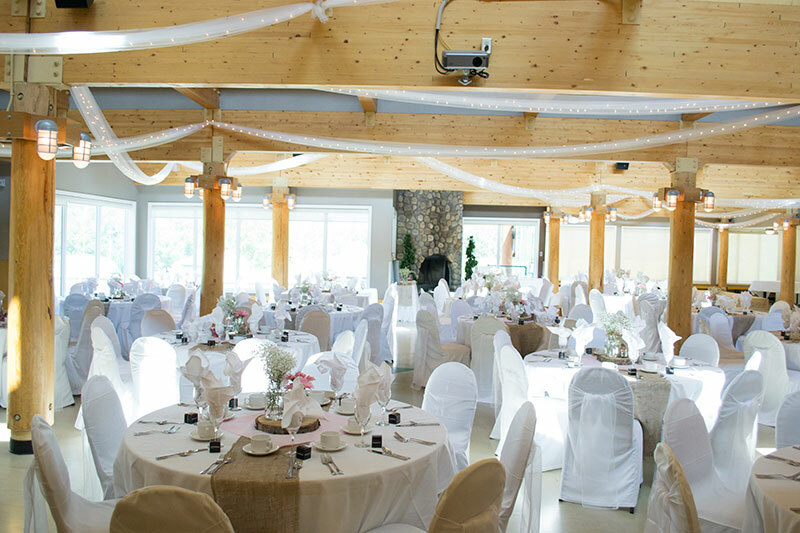 Our two-storey mountain-style lodge provides a cozy and unique atmosphere for your special celebration. 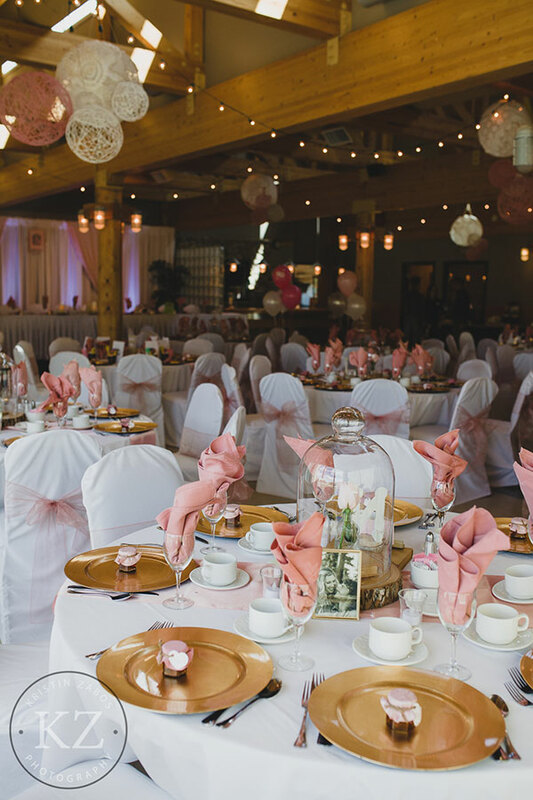 A dedicated team is ready to serve and make your event a joyous occasion. 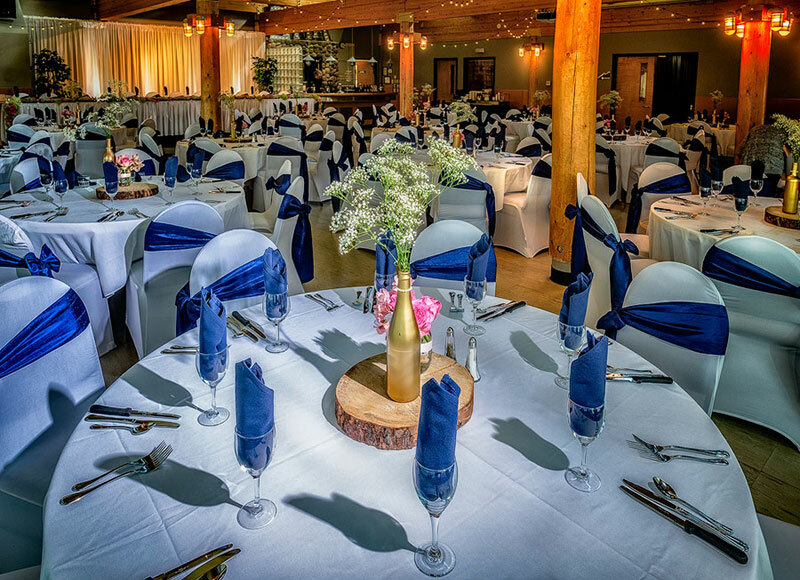 The Lodge at Snow Valley is the perfect place! 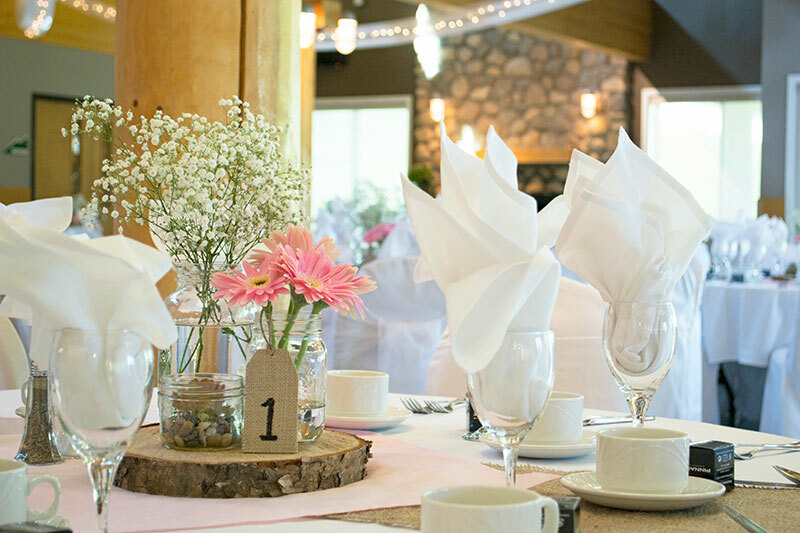 Our location offers free parking for your guests and is conveniently located in the same parking lot as The Rainbow Valley Campground - perfect for your out of town guests. Gina and her team were excellent. 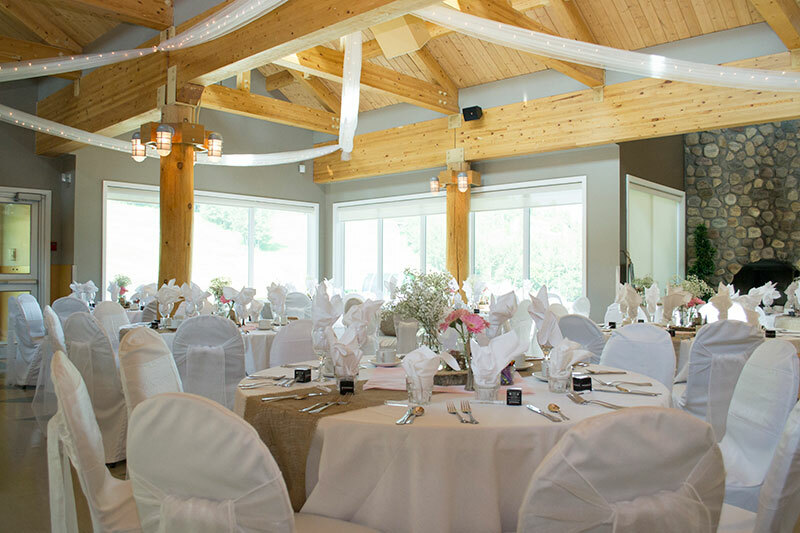 They accommodated all our requests and our event ran very smoothly. 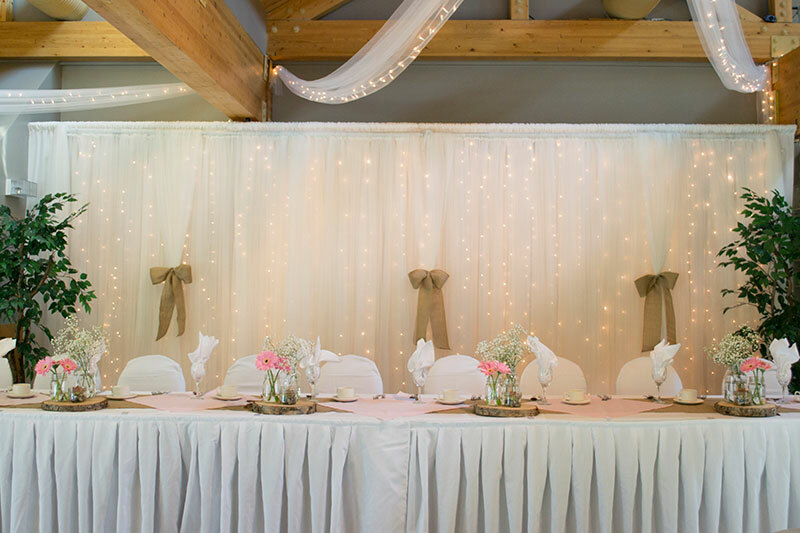 The room looked beautiful and was set-up as requested. Thanks for making our day go so well. 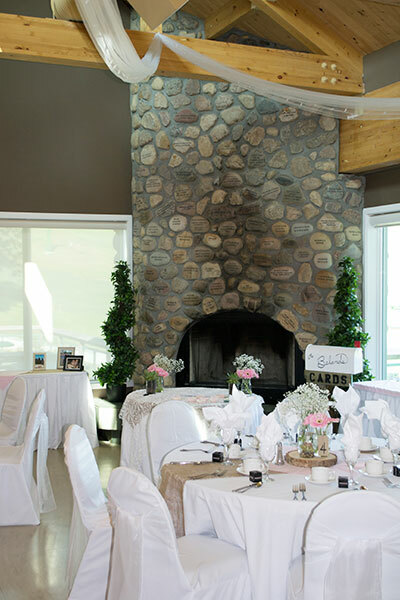 I booked The Lodge for my wedding and had such a positive experience from the very first stages of planning to the big day. Gina, the manager, was quick to respond to any questions I had. 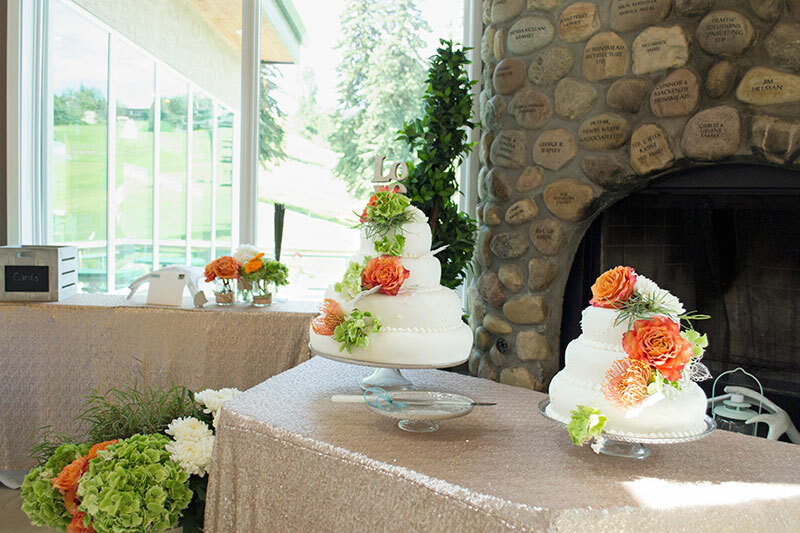 She made planning a wedding stress-free. 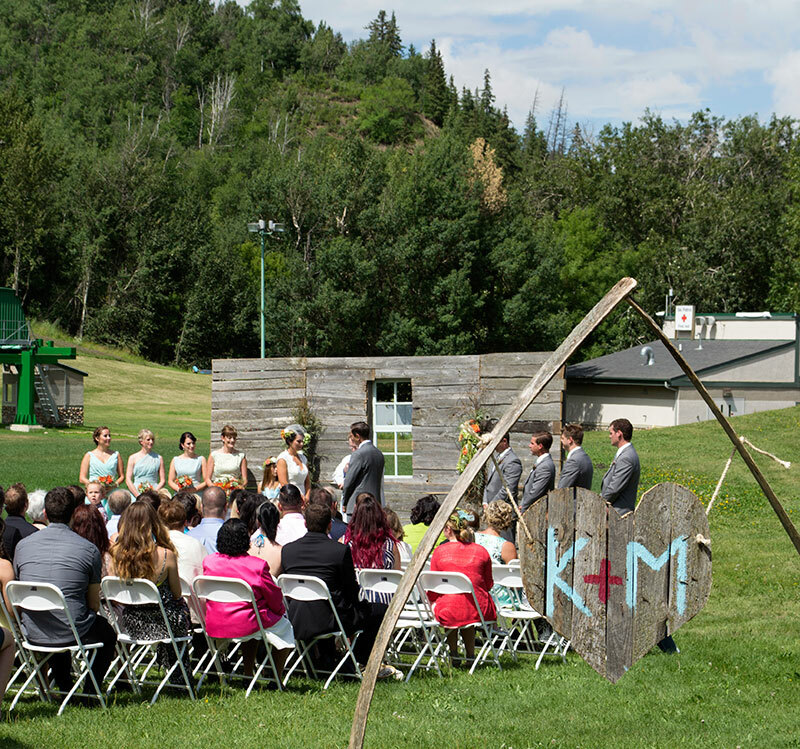 On the day of my wedding, everything was organized and prepared on time. 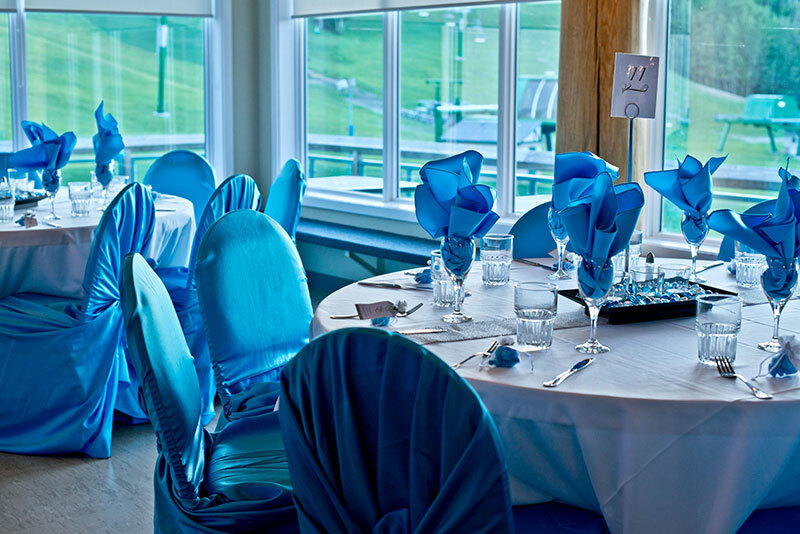 The service and food were excellent and many guests commented on how great the food was. The whole night ran smoothly thanks to all the support staff. 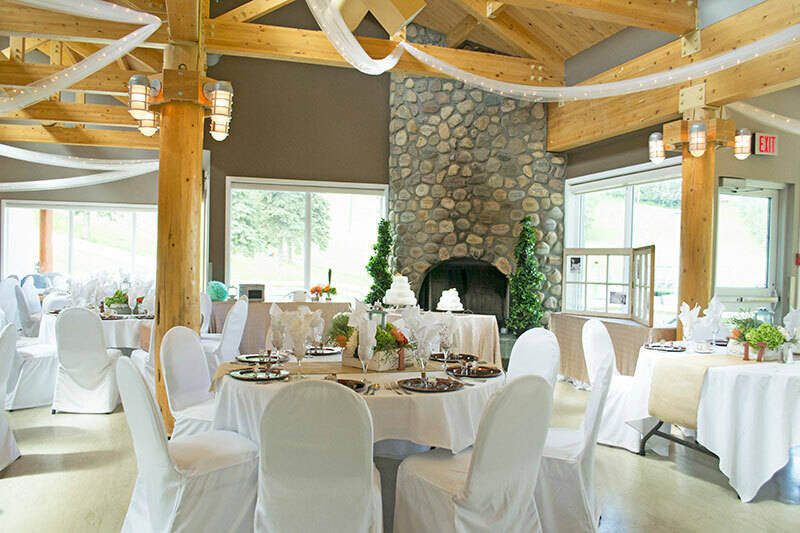 I highly recommend The Lodge at Snow Valley to anyone planning an important event. 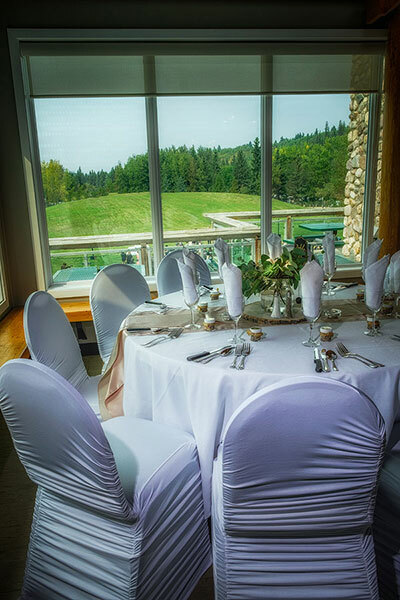 For complete information and menus, or to book your event, please email Gina Mitchell, Food Services/Catering Manager, at gina@snowvalley.ca, or by calling (780) 809-2374.